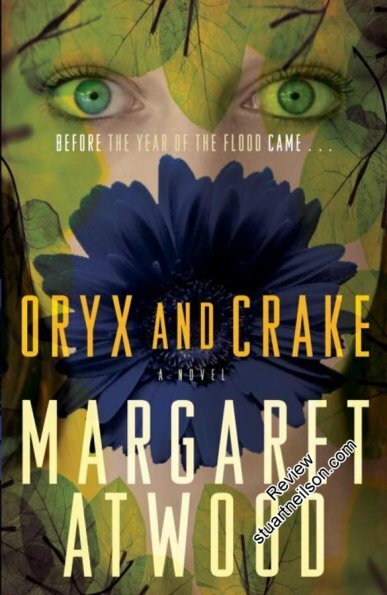 Atwood, Margaret - "Oryx and Crake", "The Year of the Flood" and "MaddAddam"
The Oryx and Crake trilogy is a science fiction fantasy set in an extremely dystopian near-future, building on technological themes in our time. Crake (originally known as Glenn) is an extreme rationalist and problem-solver, unaffected by empathy and single-minded in pursuit of elegant technological solutions that lead, swiftly, to chaos. He is arrogant and bullying, comparing the supremacy of his education at Asperger's U with his friend Jimmy's pleb-like status at a mere humanities college. Crake is modelled, according to Margaret Atwood, in part on the pianist Glenn Gould, who she contends had Asperger syndrome, although it was not diagnosed in his time. She was deeply affected by a 'factoid' that Glenn Gould wrote an opera, at the age of 10, in which all the people died and the animals survived. As in other fiction, there is a danger of confusing the impaired cognitive empathy of autism (inability to recognise emotion) with the impaired affective empathy (inability to feel emotion) of sociopathy. Autistic people are no psychopaths, and appear to be concerned about the feelings of other people when those feelings are understood. Oryx and Crake is allegory the character of Crake / Glenn (as well as Margaret Atwood's definition of autism) should not be taken literally.